We are continually finding ways to reduce waste in our everyday lives. One way is to use a reusable coffee cup! So we decided to try out the KeepCup and Frank Green reusable cups as we are lovers of takeaway coffee. Did you know not all coffee cups are recyclable? It’s a common misconception that coffee cups are recyclable because they are essentially made of paper for the cup and plastic for the lid. However, the paper cup has a plastic lining that can not be recycled and takes 1000s of years to discompose. 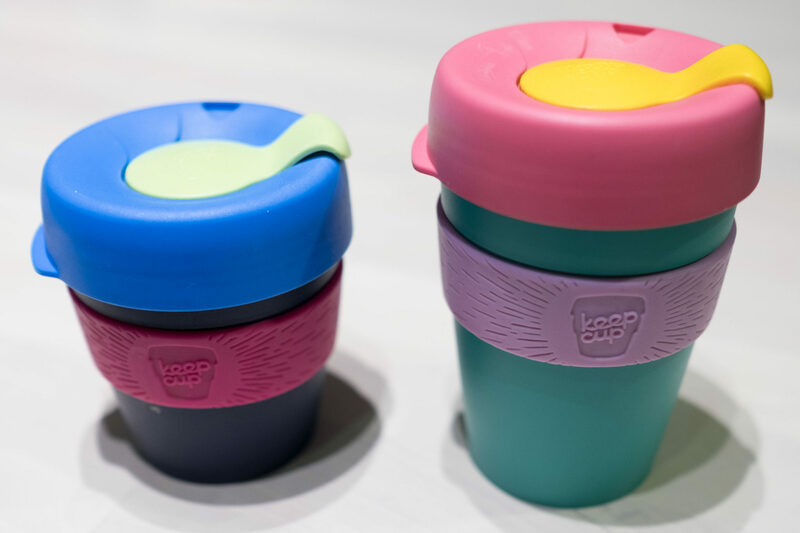 So, here we have the two most popular reusable coffee cups on the market – KeepCup and Frank Green. 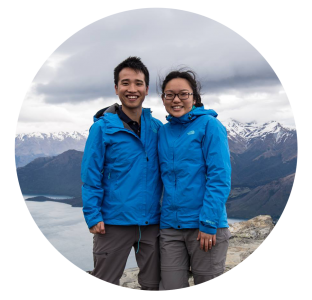 We’ve been using KeepCups for over 2 years now and Frank Green for about 6 months. Let’s get into the nitty gritties! What is KeepCup made of? Where is it made? What is it made of? Where is it made? Both the KeepCup and Frank Green are really easy to use, open and close. The Frank Green suggests that you can open their cup with one hand which is true, however, it is much easier to just open it with both hands. The KeepCup is easy enough, just a simple slide and clip to turn the lid. This is a big factor for us. For me, the best part of a coffee is the first few sips, the taste of the crema on top. After many months, KeepCup has definitely won in terms of their lid design. The KeepCup design looks very similar to a regular coffee cup, in which there is an open on the lid that delivers the crema goodness straight to your lips the moment the barista hands your coffee to you. On the other hand, Frank Green has made their lid in such a way that I never get to enjoy the crema on a good coffee. Unfortunately, there is some mechanism that dissipates the crema on the coffee and the first thing you taste is the body of the coffee. Keep Cups are pretty easy to clean due their wide opening and narrow bottom. This means that your hand can reach the bottom to clean any residue from a drink. Frank Green on the other hand has a long cylinderical body which means it is harder to reach the bottom of the cup. On the hand, Frank Green cups have been more leak-proof. The important thing is not to overfill your cup. They have marked out a line to show you the MAX you should fill. If you stay below that amount, it generally doesn’t leak. We did have one case where there was a faulty lid which caused it to leak, however, we contacted Frank Green and they sent us a replacement lid. How well do coffee baristas deal with the cup? Many baristas are familiar with the serving sizes for the Keep Cups. So, they are quite spot on with the milk distribution when you order a regular in a large Keep Cup. Conversely, we found that many coffee baristas are unfamiliar with the Frank Green cup. When we order a regular size coffee, they tend to pour the milk over the regular line, perhaps because it is not easy to see the marked line inside. This means that we always walk away with more milk in our coffee. So this may be a plus! 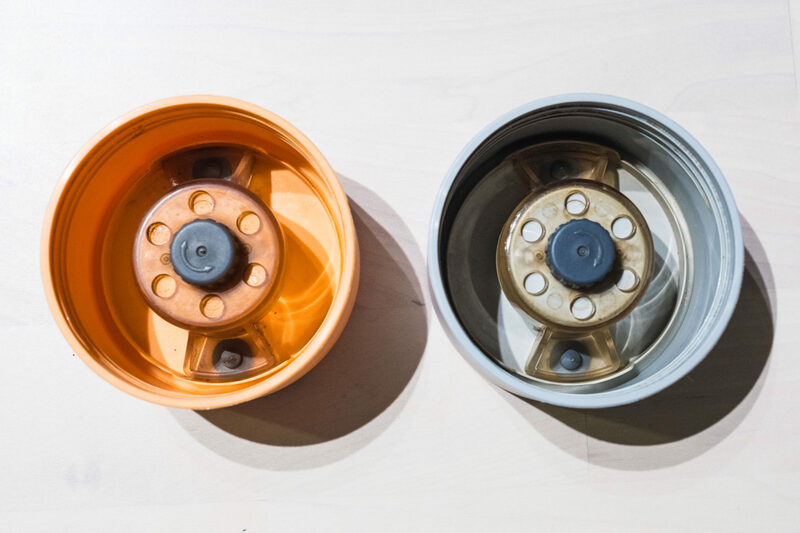 If one of your parts goes wrong or you just want to change the colour of one part, you can order that one specific part from Keep Cup. Whereas, Frank Green don’t sell individual parts. You will need to buy a brand new Frank Green cup. 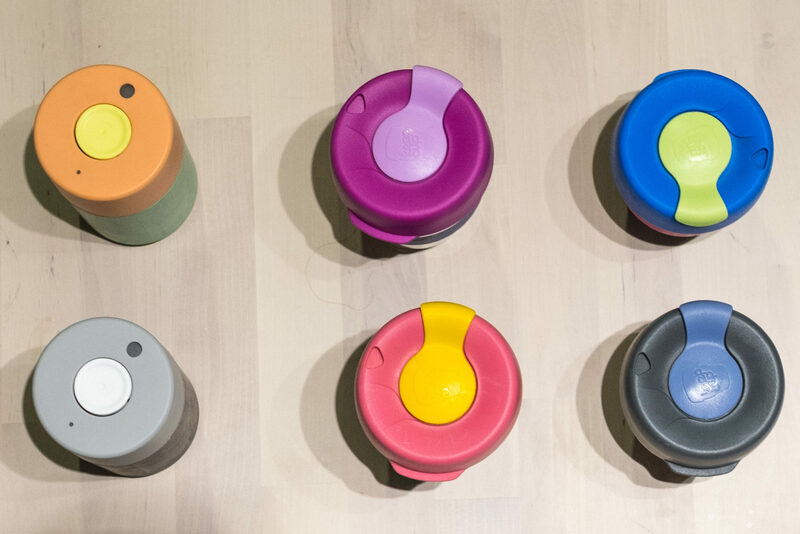 Keep Cup allows you to go crazy with colours, materials, sizes and series. You can either create your cup online or you can visit their head office in Fitzroy. We were lucky enough to visit their head office while they were open. The staff was really friendly and left us to our own devices to create our own little cup. They have all their keepcup series on display in a cabinet shelf. Loved it. Frank Green also allows you to customise your cup. We visited their head office in Melbourne and they also let us choose the colour of lids, button and cup. They even showed us how to assemble the button and lid because there’s a trick with the spring in the button. It was a nice excursion and reminded me of a Build-A-Bear experience. While the glass Keep Cups don’t have lingering tastes from your previous drink, I found that the plastic cups always do. This may not be an issue for you if you drink the same beverage in your cup, however, I alternative between coffee and tea and I find it is really hard to get rid of the lingering taste and smell. Frank Greens do a better job on this topic. Perhaps it’s the plastic that these cups are made of that prevent the beverage from absorbing into the cup. I find that after a quick rinse all the tastes and smells are gone from the cup. Keep Cups don’t handle the heat very well. The glass version is almost impossible to hold, while the plastic cup is just bearable if you hold it by rubber holder. This has probably lead to the creation of their new series Twin Wall. But this Twin Wall is just a plastic cup covering your existing cup and it looks rather bulky to me. Frank Greens are better at handling the heat. It feels quite comforting holding the cup when there’s hot liquid inside and reminds of a hot water bag on a cold day. However, you have to be careful when you press the button when you have something hot inside, there is a spray of liquid from both the big hole and little hole. So I suggest a very slow release of the pressure when you are ready to drink! Frank Green has an additional feature that allows you to pay your coffee with the cup. There is a chip inside the button that you can sync with your payment card and tap your lid to paywave. However, it was hard to set up and no real benefit. There was limited support and we never used it. It’s a very close call! Both the Keep Cup and the Frank Green have their pros and cons. I prefer using the Keep Cup while my husband enjoys using the Frank Green. I would recommend both cups for day to day use. However, if it is crucial that you enjoy the first couple of sips of the coffee crema, then I would recommend the KeepCup. 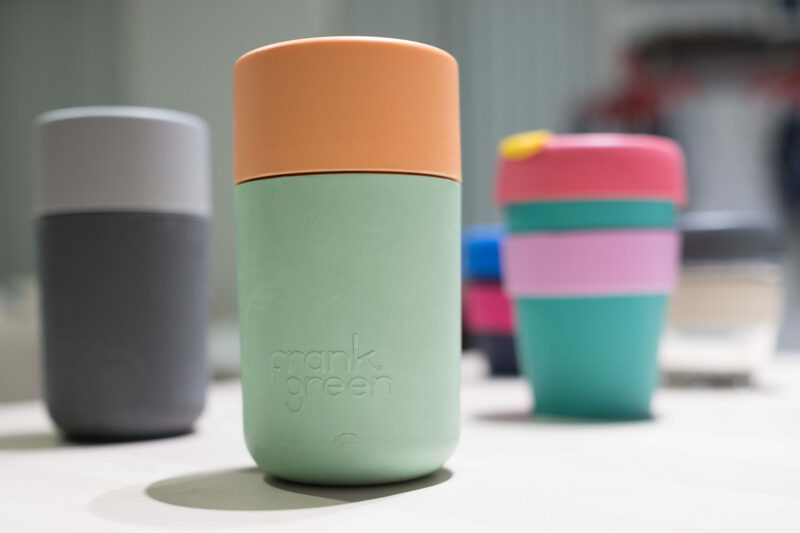 If you are more interested in a more modern/futuristic looking cup, I would recommend going with the Frank Green. Hope this comparison review was useful to helping you decide your reusable cup. Let us know what cup you decided to go with! For me it’s a keep cup win, hands down. Also tried both, the real solution to the keepcup leaking is lid replacement and a glass cup. Replacing the lid on the keep cup every six months means the leaks are gone. The Frank Green fill line issue is just so annoying, the water also builds up after a dishwasher cycle making it collect dishwasher water which pours on your face when you drink. Overall, the keepcup is simple, well adopted, looks super nice with the cork and is a much better cup overall. Only downsides being the weight of the glass and the potential to leak in my backpack, but it’s worth it. What do you mean by, “well adopted”? Also, not only have I never had the dishwasher problem you refer to, but I’m struggling to imagine how what you describe is even possible. Can you explain or describe it so I can understand how that could even happen? There’s nowhere that water could possibly be hiding since it all drains out the holes. It comes out of my dishwasher clean, dry, and ready to go. Same with the other people I know who use these cups. Frenk green does have numerous options to replace different parts on their Australian website, so it may be a case of contacting them if you’re not in Australia. (or they’ve changed their website since your review). I’m also really excited about their stainless steel option. Another thing worth mentioning with the payment feature of the Frank Green cups is they charge you an extra 3% to use it.